Join PCTPA at the upcoming public workshop to be held on Wednesday, April 11 at 9:00 a.m. in the Planning Commission Hearing Room of the Community Development Resource Center, located at 3091 County Center Drive, Auburn Ca. 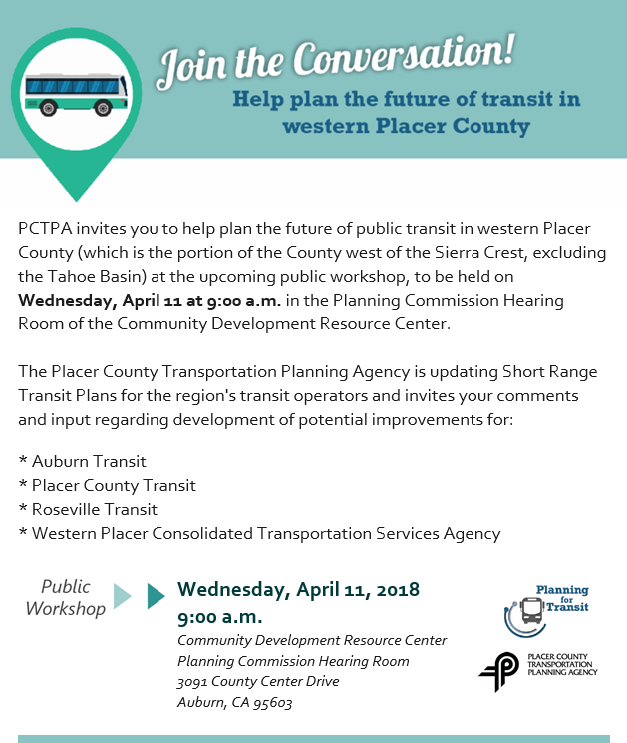 Help plan the future of public transit in western Placer County (which is the portion of the County west of the Sierra Crest, excluding the Tahoe Basin). Wednesday, April 11, 201 | 9:00 a.m.